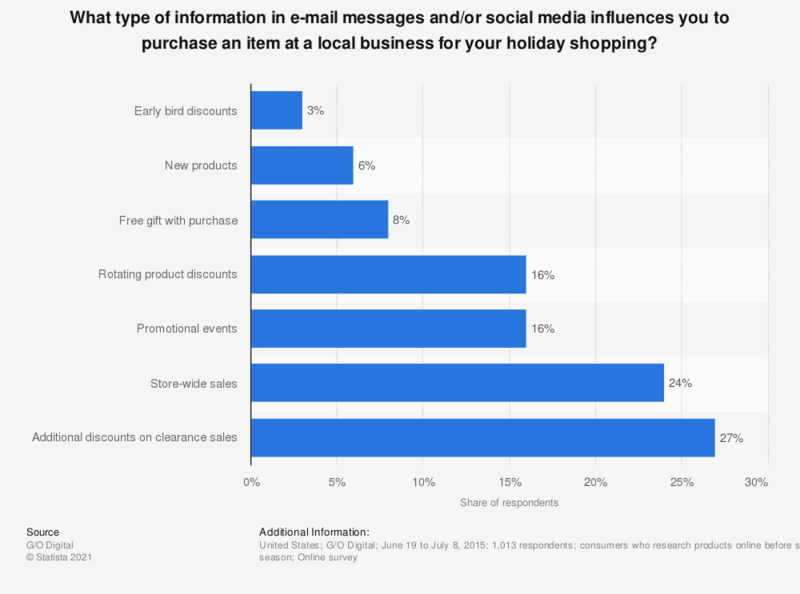 This statistic presents the types of e-mail or social media information that influences digital shoppers in the United States to purchase items at a local business for their holiday shopping. During the July 2015 survey, 27 percent of respondents stated that additional discounts on clearance sales influenced their purchasing behavior. Overall, 29 percent of respondents had purchased an item based on a Facebook ad. The source does not provide information on the number of respondents or their age.